With the children out of school, it is a perfect time to try something new and tie-it in with the family history. Using the online site Festisite, you and the kids can create a fun activity using names of ancestors, places they lived, occupations they had, unusual skills, etc. 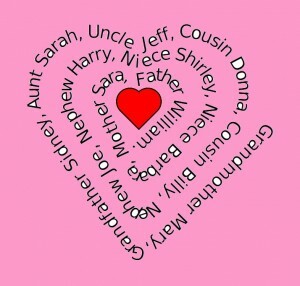 Anything that can be written – just short phrases or words can be put into a design. The creations can be in the shape of a heart, a wave, a circle, or you could create a maze. 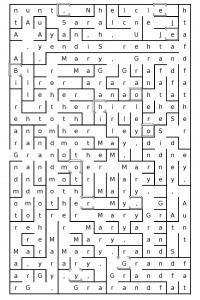 This that type of puzzle, the kids could then attempt to circle and find the names you placed in the maze – like a word search traveling through the maze. Use the box on the left to type in as much or as little. Select a theme from the upper right side. Choose the font size and style also. Then just click ‘Layout Text’. The site will produce what you have selected and save it as PDF and place it in your download folder on the computer. You can use it – print it as a PDF or take a snapshot (see drop down on the PDF file) which allows you to select just the portion you want and then paste it in a photo software program to add colors, etc. and save as a jpeg image. 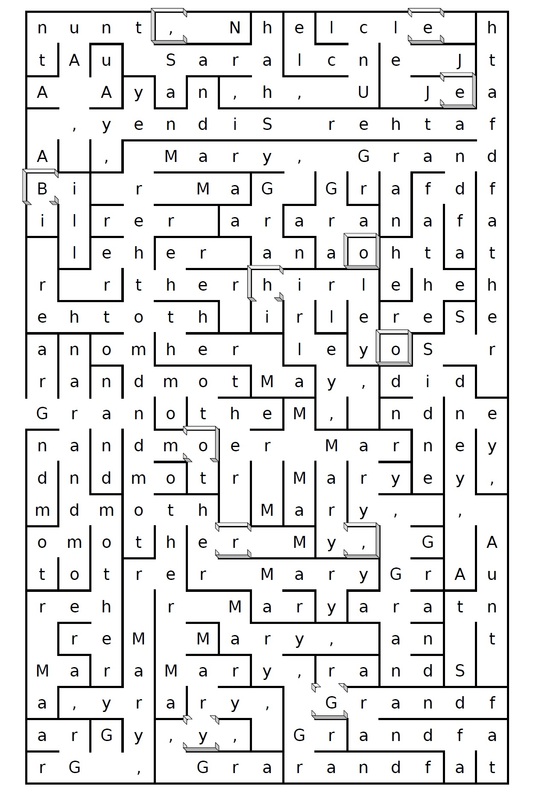 This basic program is free to use and can be entertaining and creative for an afternoon. 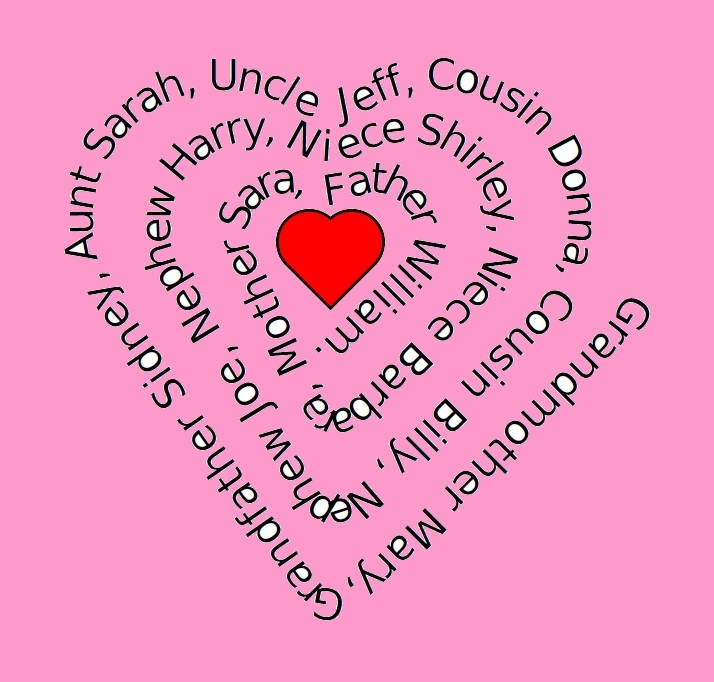 You can find uses to create the hearts or waves for cards, invitations or special wishes to be sent on Facebook or an email. Easy to do and a fun activity.